Preparations are well underway for Gastech and we are excitedly looking forward to the event in Tokyo. This will be our 5th time exhibiting at the prestigious, world-renowned event and each time has been an even bigger success than the last. Our company has gone from strength to strength as a direct result of the connections we have made at Gastech events and we are certain that the upcoming conference will be no exception. At the last Gastech conference, we were at the development and prototype stage of our project to bring better acoustic and moisture barriers to the industry, offering innovative, more reliable options. Today, our project has culminated in the installation of our unique, state-of-the-art machinery and we will be able to show the process in action to attendees at Gastech. It is exciting to be heading back with such good results. Each time we have attended the event, we have made a lasting impression and this is added to and built upon each time. We have already shipped off a number of pallets containing samples of our innovative metal claddings and jacketing these are eagerly awaited by a number of interested professionals and will form the core of our exhibition. We will also be able to show a detailed video of our new machinery in action. Kashif Mohammed, who joined our team from Sheffield Hallam and attended Gastech last time as a “Gastech Young Engineer”, has recently completed his MPhil degree and we are proud to announce that he is now the Mechanical Engineer for BS Stainless. He will be with us at Gastech and will be expertly demonstrating and explaining the many technical merits of the products and materials we are now able to produce. 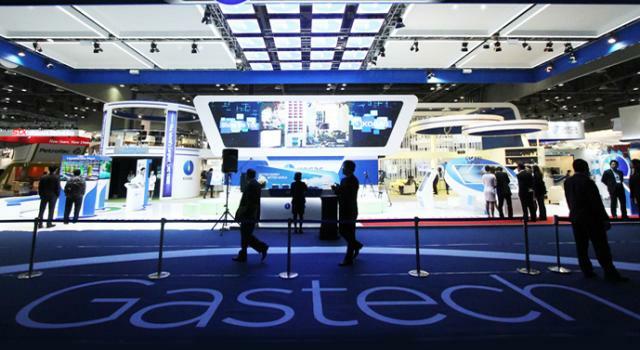 As well as showcasing our own products at Gastech, we will also be spending lots of time checking out the other exhibitors, as well as attending seminars, debates and conferences to extend and enhance our knowledge. This will enable us to further improve the service we offer to you, the customer. Hopefully you can drop by our stand 9345 at the Makuhari Messe in Chiba, Tokyo this April. Make sure you keep up to date with all the latest about Gastech by subscribing to our newsletter and following us on social media.